Imagine trying to teach a class of students who are not only grappling with the emotional issues of being a teenager, but also struggling to learn the ways and the language of a new country. Felicia Bode said these kids at Thomas Jefferson Newcomers Academy have a lot of distractions. "All of the students at our school have been in the country for two or less years," she said. They’re all international newcomers who are either refugees or immigrants." Some have lived through war. Up until now, some have only known life in a refugee camp. Each one has a story. 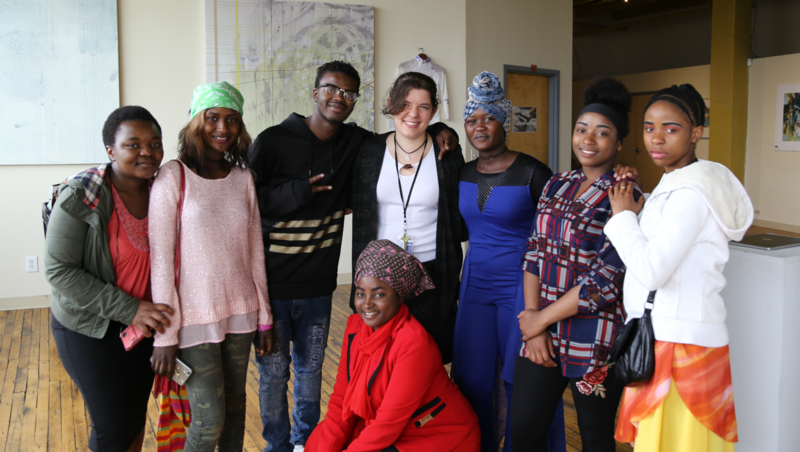 Bode and several Cleveland-area arts educators are teaching these newcomers to tell their stories through painting, postcards and poetry. "One of the students wrote about Syria before the war," said Bode. "He really wanted to express how great a place Syria was and how beautiful it was." Some of the stories and images express feelings of loss and pain, while others recall lighter but still important life moments, like learning to drive a car - when you are six years old. 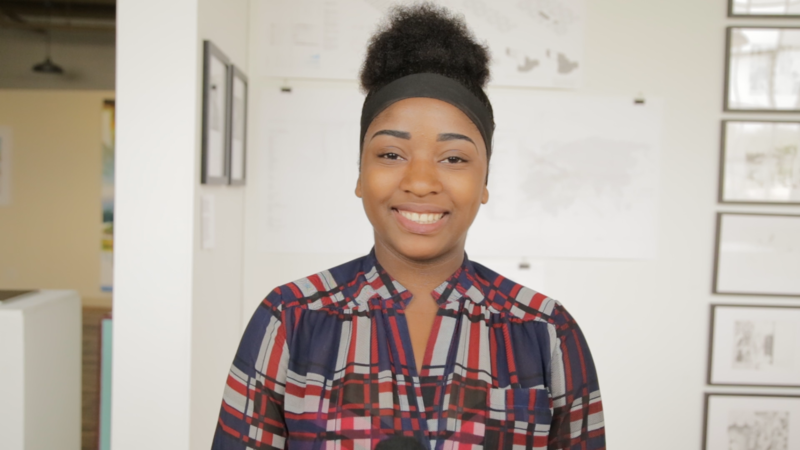 "The students have had a lot of opportunities to express a lot of different things," Bode said. "And they really appreciate being asked." One of their mentors in this course is photographer Halim Ina. 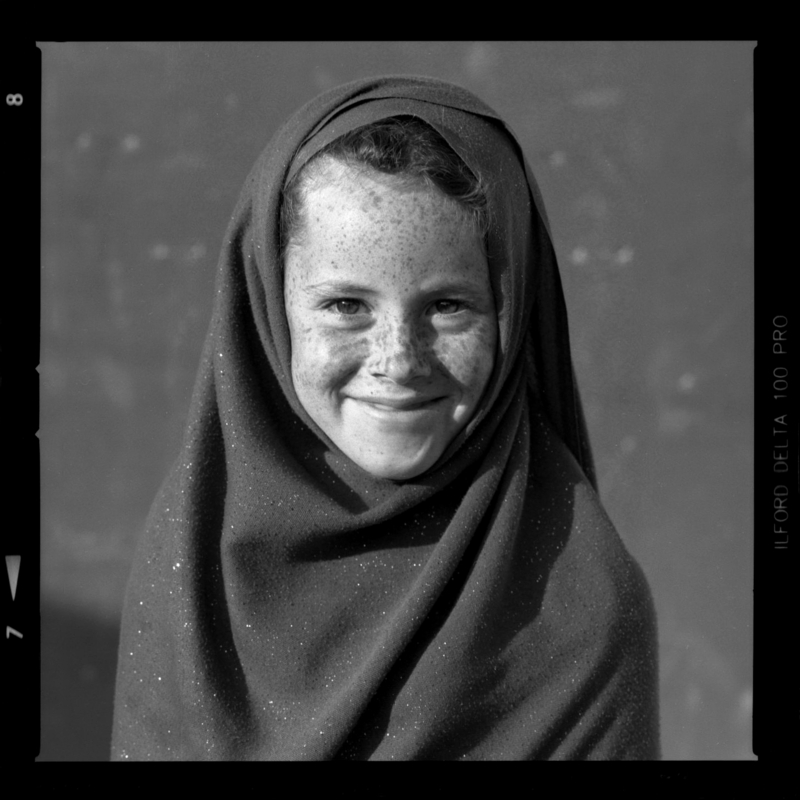 Along one wall of the gallery are a series of his portraits of Syrian refugee girls in hijabs, some sporting shy smiles as they gaze directly at the camera. Ina was a refugee himself - twice - before moving to Cleveland over forty years ago at the age of nine. "We lost our home in an earthquake in Nicaragua," he said. "We were in the Lebanese civil war for two years. That instability was my family’s experience." He suggests that the average American probably doesn’t understand what it means to be a refugee, and how easy it is to become one. "In one moment, their lives can be transformed," Ina said. 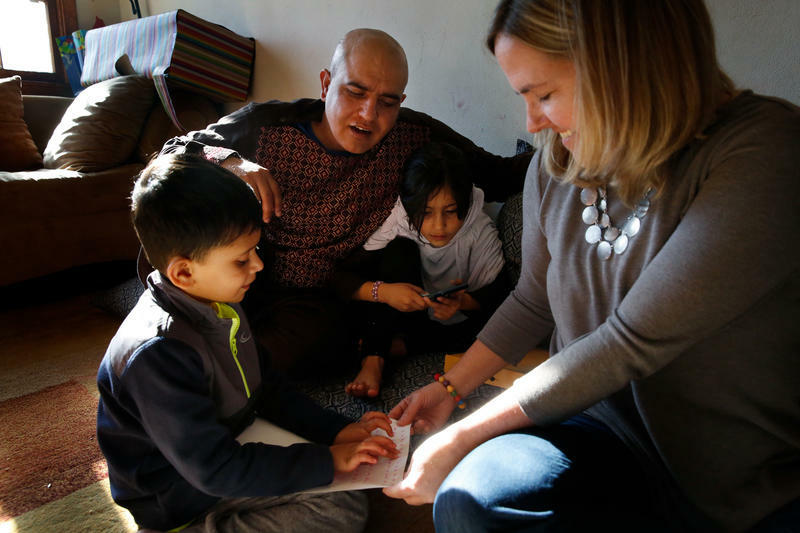 "And they can be in need, just like these people that are trying to come here and are trying to stabilize their lives." Like 10-grader Frezinele Uwiringiyimana who describes coming out of a chaotic life in Tanzania, rife with poverty and ethnic warfare. "For example, to get food was very hard," she said. "To take a shower was very hard, too. Some people hate you and try to poison you for no reason." 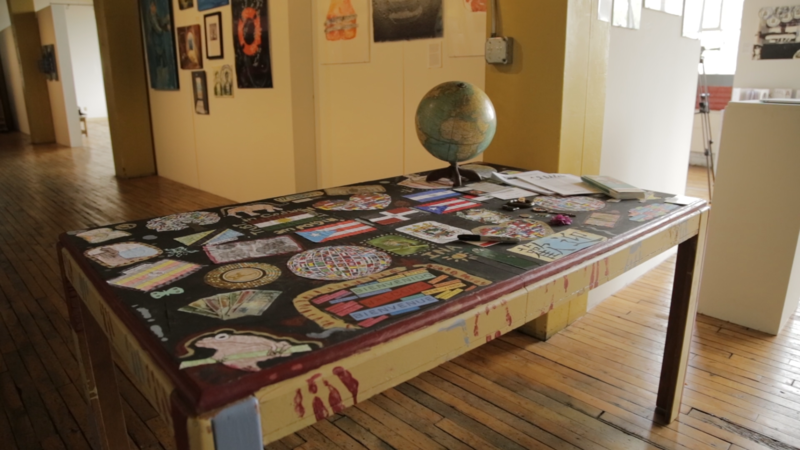 For her part of the art exhibit, she helped decorate a solid old piece of dining room furniture, which the students have transformed into what they are calling a “Welcome Table." It sits at the front of the gallery and is covered with cultural utensils, images of native animals, and various national symbols. "We’re doing this to show different countries and trying to make it beautiful," she said. "So it can look so good." She proudly points to her contribution - the Tanzanian flag - from a country that she loves despite the horror that her family had to flee. It’s something that she wants people in her new country to know about. And it represents a well of feelings that can be hard to put into words. The exhibit was curated by local arts advocate Liz Maugans and is now on view at 78th Street Studios. Officer Damber Subba’s first shift Monday afternoon was patrolling familiar territory: Akron’s North Hill neighborhood. Here's more on the first-ever refugee sworn into Akron’s police force. 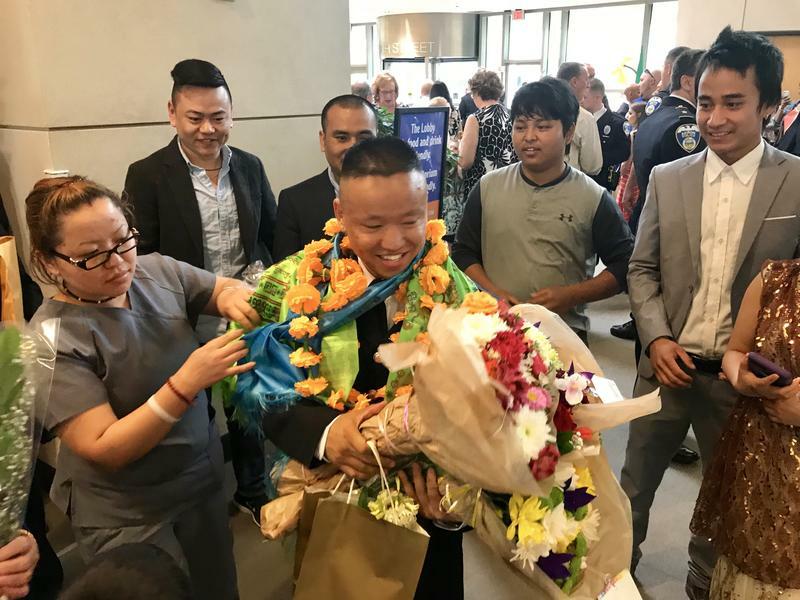 Like the other 11 rookie police officers sworn in Friday night, Damber Subba wore a deep blue uniform, his posture erect, steps precise, face serious. But before the evening was over, he was a half-dozen layers deep in brightly colored scarves and garlands of flowers. A new report on Ohio immigrants finds a lack of adequate access to educational opportunities, trustworthy and affordable legal services and accessible and affordable healthcare. 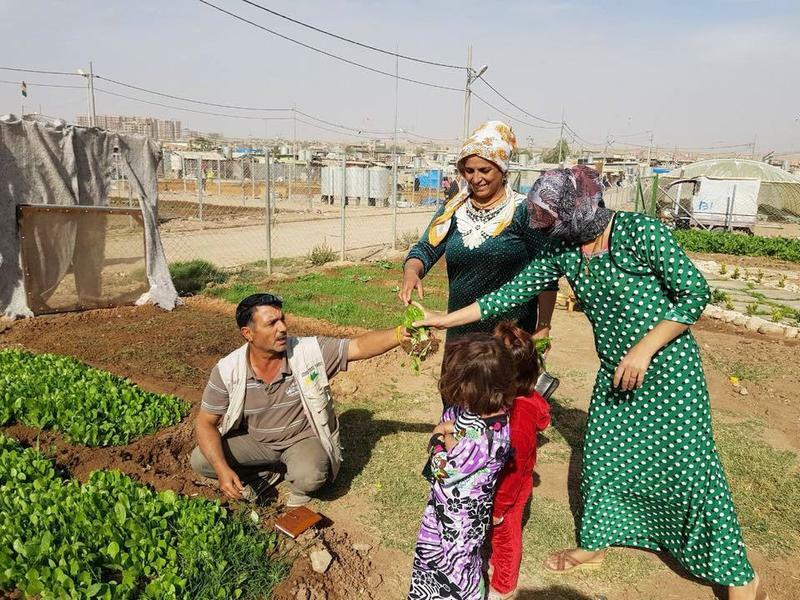 Fig and pomegranate trees, grapes, carrots, and narcissus flowers are some of the plants that Aveen Ismail likes to grow in the Domiz refugee camp in Northern Iraq where she lives. That's because these plants remind her of Syria and home. At first, Ismail did not find the dry land welcoming. But she values greenery and gardening, so she cultivated a small patch of land next to the house her family built in the camp.